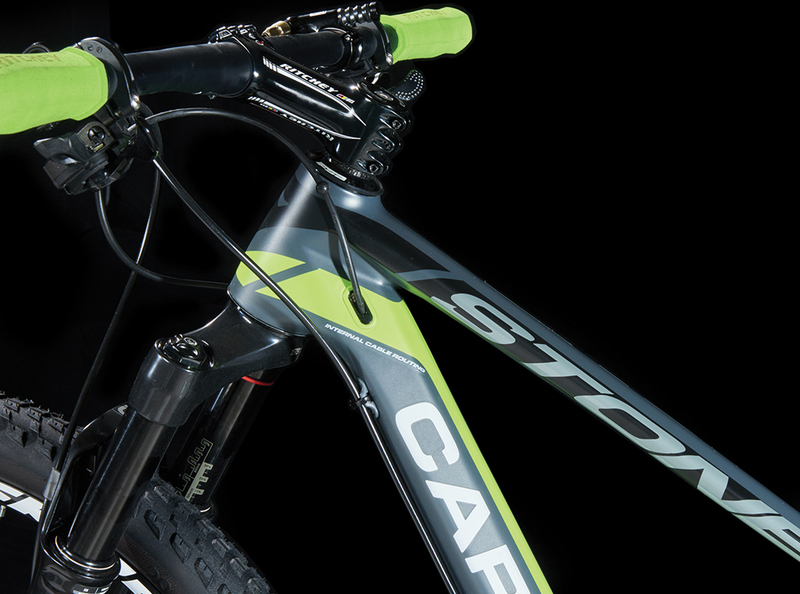 The R&D innovations for the STONE 29’er are the result of the engineering know-how collected by Carrera-PODIUM’s expertise with carbon road racing frames applied towards its MTB sector. 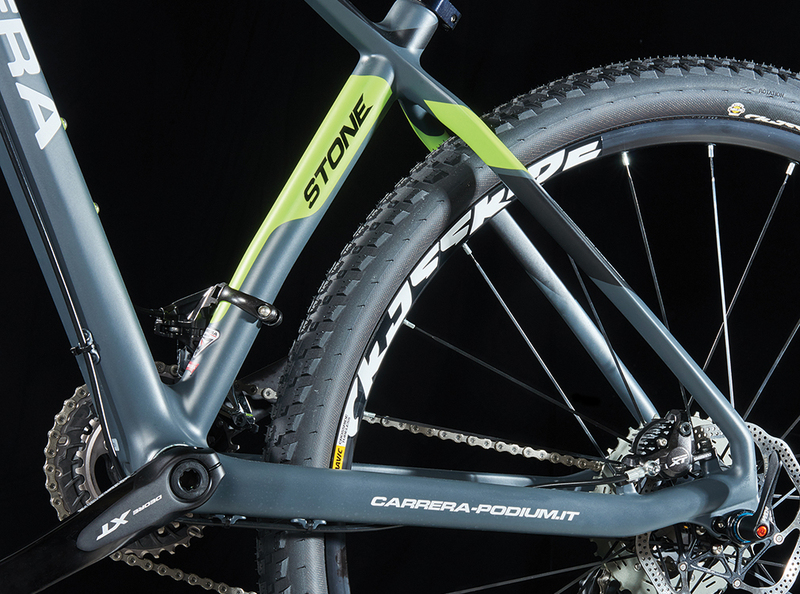 The STONE 29’ers fabrication uses ‘Solid Carbon’ technology, a new generation manufacturing process with noticeable improvements in terms of tubeset weight and compliance. This technology eliminates potential critical points in the monocoque assembly by adding high structural rigidity to its fabrication technique to optimally counter and dampen vibrations of its asymmetric designed frame during off-road riding. This unique carbon layup has been achieved via computerized analysis of the frame’s performance characteristics: 80% T-700SC highly resistant carbon fiber weave, 15% ‘High Modulus’ M30J 3K carbon fiber, 5% ‘High Strength’ 60T carbon fiber - and UD surface finish. 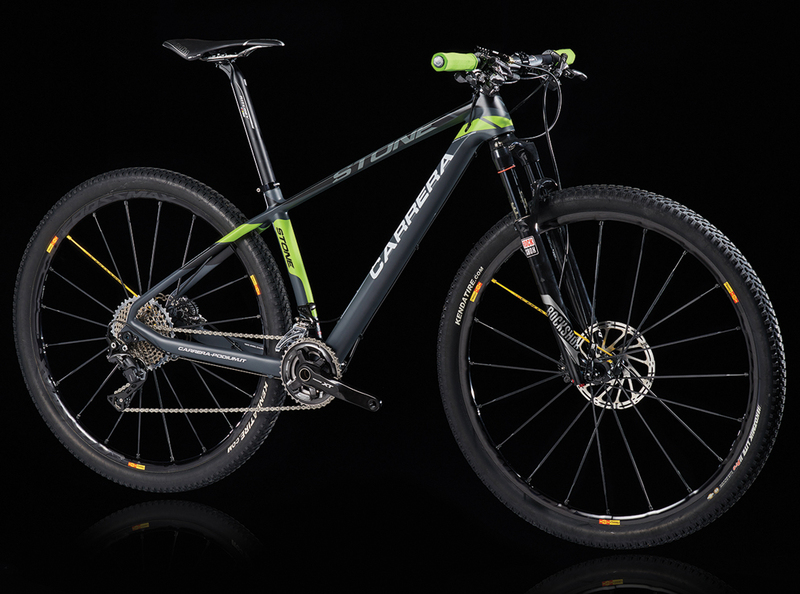 Carrera’s STONE 29’ers technology is dedicated to competitive cyclists and enthusiasts of the 29’er category.